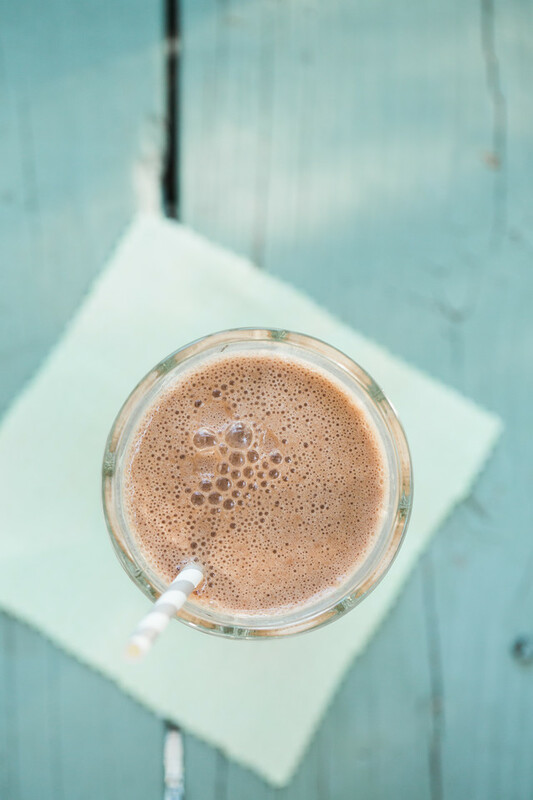 This Chocolate Coconut Water Smoothie is healthy, vegan and delicious! Best of all it’s also so easy! Makes a great after workout smoothie or after school snack. I love smoothies. What else can you have for breakfast, lunch, dinner, dessert or a snack and feel good about your self. What I also love about smoothies is that they can basically cross the seasons. You can have this Strawberry Watermelon Smoothie in the middle of summer and this Cranberry Orange Smoothie in the middle of winter. There are easy smoothie recipes for every season! I cook four days a week. The other three we either eat out or have leftovers. Then I bought a Vitamix and we started having smoothies almost every night after dinner for dessert. While this is a fabulous idea, it meant I had to find even more recipes through the week. Not only was I menu planning for 4 dinner recipes, I was also looking for 4 smoothie recipes. I needed some smoothie short cuts. I found it. My new favorite short cut is chocolate coconut water. It mixes my two favorite flavors, chocolate and coconut. 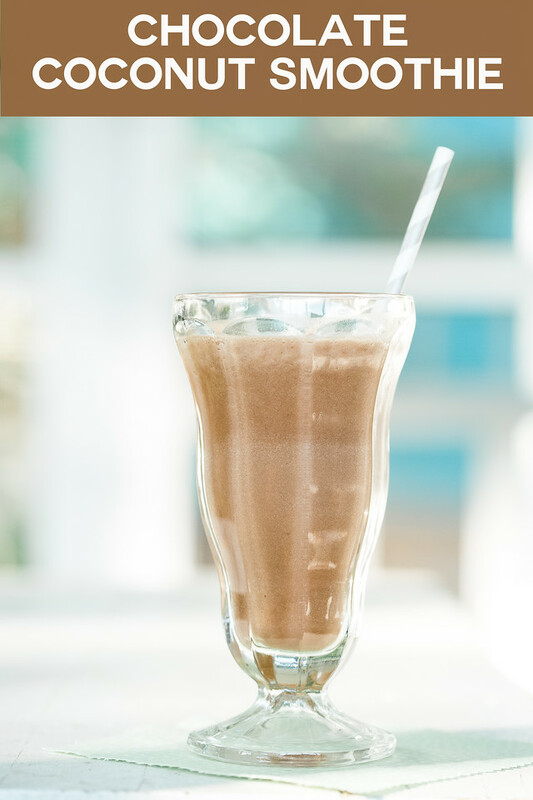 If you can’t find chocolate coconut water use regular coconut water and increase the Cacao Powder. This has become my go-to smoothie. I keep frozen bananas in the freezer (simply cut them into fourths and freeze on a tray and then pop them in a ziploc bag), cacao powder and chocolate coconut water. That’s it. Easy peasy. Chocolatey and dreamy. 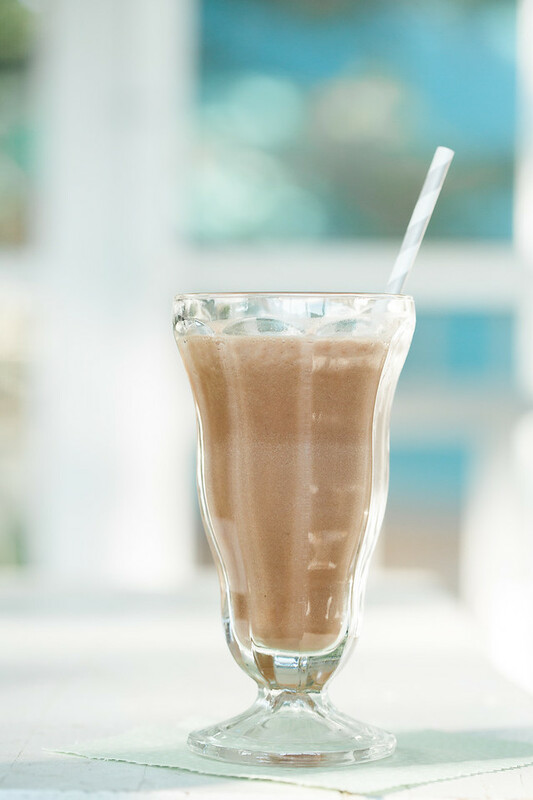 This Chocolate Coconut Smoothie is so easy and delicious! Makes 1 large or two medium smoothies. I have been doing more smoothies these days also. It started because of the hot weather and really not wanting to so much. Like you, I only cook four days a week now and the same, eat out or leftovers. I really think I’m going to be making smoothies with me into the Fall and winter now. I am trying to get some reading done, but also working on some holiday cranberry recipes! What a wonderful smoothie idea! I bet a splash of that coconut water would be great in coffee too. Chocolate and coconut are two of my favorite ingredients! I bet this smoothie tastes amazing!!! Yum! This will be a great addition to the morning breakfast smoothie list. Need to try it soon. This is the first time I’ve ever heard of chocolate coconut water…the best thing since sliced bread 😉 Now I can indulge without any guilt! Oh wow! I’ve yet to come across chocolate coconut water! I’m totally going to be on the lookout now because this sounds fantastic! I’m so glad to know about this chocolate coconut water, Pam! I’ve got to find it locally. Thanks. I am so in lust with chocolate coconut water. My hubby Brooks can’t get past the texture. He says it’s too thin to be chocolate flavored. WHATEVER! He doesn’t know what he is talking about. I use it all the time in my protein shakes because I am constantly dehydrated and coconut water helps me rehydrate. I have never used it for dessert though. I will be putting away my snacking chocolate and trying this! Thanks for linking up to Saucy Saturdays! This looks delicious! Is the chocolate coconut water thicker, more like milk? With those ingredients it sounds like it would be a little thicker, which is great for smoothies. Chocolate and coconut = yes, please! Great photos. This looks so refreshing; I’m adding it to my morning smoothie routine. 🙂 Thanks so much for sharing! I’ve been adding plain coconut milk to my smoothies, but I definitely need to start experimenting with flavors! Chocolate first, obviously.